How Can You Start Your Small Company? As an entrepreneur, your target should be to grow your business into a success, and then scale it. A successful company structure must be able to withstand reasonable growth; if not, it will stagnate. Scaling a company is not for the faint-hearted, though. To prepare your small business for its future as a competition-crushing corporation – or whatever your dream may be – you are going to have to follow a proven system, and see the process through to the end. Let’s look at the journey from your initial vision, through to its realisation and cementing it in place, and finally, scaling it. If you can answer these clearly and honestly, you will be taking the first steps towards learning how best to make money, prepare for the future, and create your legacy. To define what is most important in your life, strive to uncover what you already spend much of your time thinking about and doing. What activities make time fly for you, and engross you? What could you envision yourself doing which would immerse you in your activities, that would spur you on to help other people, and which would fill you with energy and determination rather than dissatisfaction and the desire to give up? Starting a business guarantees challenge and needs great endurance, and without an underlying vision catering for your personal passions you are setting yourself up to fail. It is that vision that will see you through the tough times and fulfil you most when you succeed. A topic or theme which commonly occurs in your daily thoughts is the one that you should build your business around. This is the seed of how you monetise your talents and individuality, and how to ensure that you will have the stamina to face future challenges. With this vision and theme in mind, you need to find a problem or pain to solve within that field. Providing a meaningful solution to a target market is one way to create a successful business, so once you have decided upon the problem you want to solve and have a viable product idea, create an MVP (“Minimum Viable Product”) as soon as possible. An MVP doesn’t even have to be a real product at first; to begin researching whether it is likely to find a market, you can start with online opinion polls and research before producing prototype. When you are satisfied that you have a worthwhile product, test it with a low-overhead, low-risk venture. Get feedback, and don’t hold on to a single vision obsessively. Kodak, Rolls Royce and Coca-Cola all started as other business models, but they evolved. De-risk your service or product early, define your ideal customer and the market size, and then prepare for the real thing. Decide whether you have IP, or need a license, patent or trademark, and then set up your company quickly and easily online. Do you have a business partner, and will you need staff from the offset? If there is too much work for one person to take on, be honest with yourself and start leveraging other people immediately, either by outsourcing, part-timers, or even full-time team members. During these early stages, it is as essential as ever to define your costs, margins in isolation and including overheads, gross profit and net profit. You should also be keenly aware of your “break even point”, your maximum acquisition cost per customer, your per head revenue and your lifetime client value. Your business should be financed through cashflow, personal cash or loans, or equity, and your focus should be on making money, not spending it! Once you have started your company and it is active, making it visible to your market will become essential. Without great marketing, you have no leads, and without leads, you have no customers. Here at Unlimited Success, we are advocates of wide-ranging, multi-platform strategies. Leverage the free social media advertising platforms including Twitter, Facebook, LinkedIn, and so on. Through these you can begin to spread your influence and work towards creating a reputation as a thought leader in your field, and also contribute towards the SEO for your website via more links directing to your company’s online home. The information you share on social media should not be solely advertising, because your followers will quickly tire of having your ego and money-begging rammed down their throats. Give information freely and generously, make your content easy to share and follow and help others in your field where you can. Try to be humble, offering gratitude and free time when you can and when people approach you. Free marketing should be complemented by some paid advertising, including pay-per-click on Google and sponsored posts on your most successful social media channel(s). Any marketing channels that you become aware of may be worth investigating, but only dedicate your valuable time to those that prove worthwhile. By unifying these efforts across a hungry market, you are going to see a steadily growing community of followers, who are not only keen to discuss the issues that matter to them most, but who also believe that you are the best company to contact whenever they need their pain reduced or their problems solved. By this stage of your small business’s life, you should be working to develop your start-up company into a brand. Your marketing efforts, combined with the reputation you should be building within your chosen field as a company that does as it claims, shall serve to develop your reputation into a recognisable and respected brand. You’re well on your way to success now! As your marketing strategy expands and your vision and values contribute more and more to the future of your business, from early on you should be taking on staff and outsourcers who can cover all aspects of the business – including the tasks that YOU perform. If your small business relies on your presence to run smoothly, it will never scale, and if it never scales, you will remain shackled to the company without ever being able to find your own freedom beyond it. Creating a routine that works for you is fundamental to running a smooth, effective and successful small business. You didn’t start your company to run every element of its processes day in, day out, for the rest of your life, so let your diary manage you, work on your vision and leverage your team and outsourced staff early on. There are many elements to this area of running your small business, but when all of these are working in unison, it will be time to scale. Self-discipline and self-mastery, joint venture partnerships, merging your passion with your profession and shameless self-promotion are just some of the obstacles and tactics you are going to have to employ. By monitoring your key result areas, key performance indicators and income generating tasks will also be utterly essential, and when they run in a profitable, smooth, stable manner, you should know when it is time to investigate scaling your business. This has been a rundown of the initial stages of running a successful small business. Lots of entrepreneurs and blogs love to tell you how often small businesses fold within the first few years of going live, and how tough it is to build a successful, profitable enterprise. 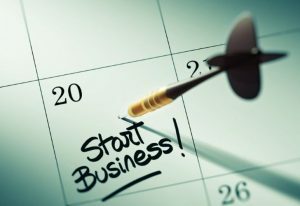 While it is true that starting your own business is challenging and has many potential pitfalls, by learning as much about your market as possible, by immersing yourself in entrepreneurial content and by building a network of contacts, peers and mentors, you can give yourself a better chance of success than 90% of those other entrepreneurs who are fighting to succeed. At Unlimited Success, our coaches, trainers and teachers have all succeeded in creating their own start-up, scalable businesses, and we want to help you do the same. If you think we might be able to help, just get in touch. If you are interested to read more about starting your small business, you can learn 5 mistakes you will want to avoid in this blog.